Hi everyone! I'm up with a project over on Lori Whitlock's Blog today with a quick tutorial explaining how to change cut file to a sketch. 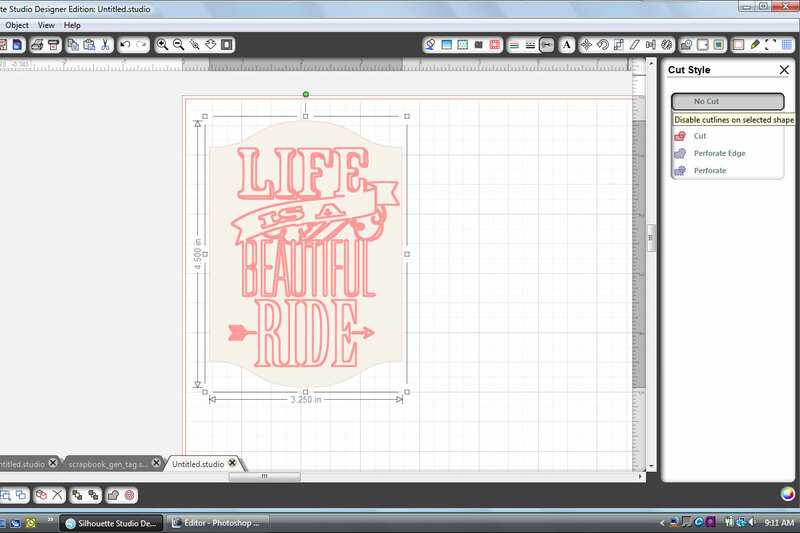 I love this "Life is a Beautiful Ride" file and have been thinking of how I could use it on a project. I turned it into a sketch and it worked perfectly on my card. 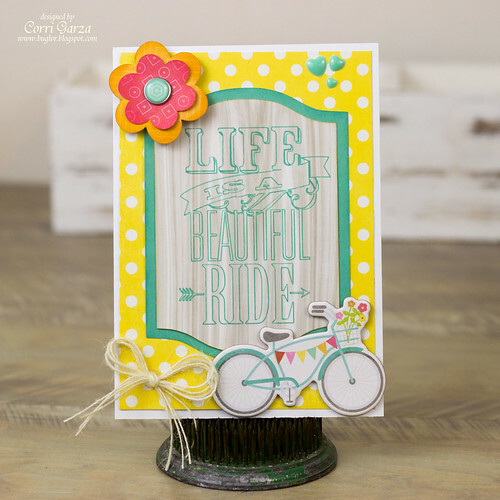 The paper on my project is from the Echo Park - Summer Bliss Collection that Lori designed. It's very easy to do. Here's how I did it. First open open these 3x4 life cards, ungroup and delete the ones you do not need. I resized the card to 4-1/2"h (keep aspect ratio). 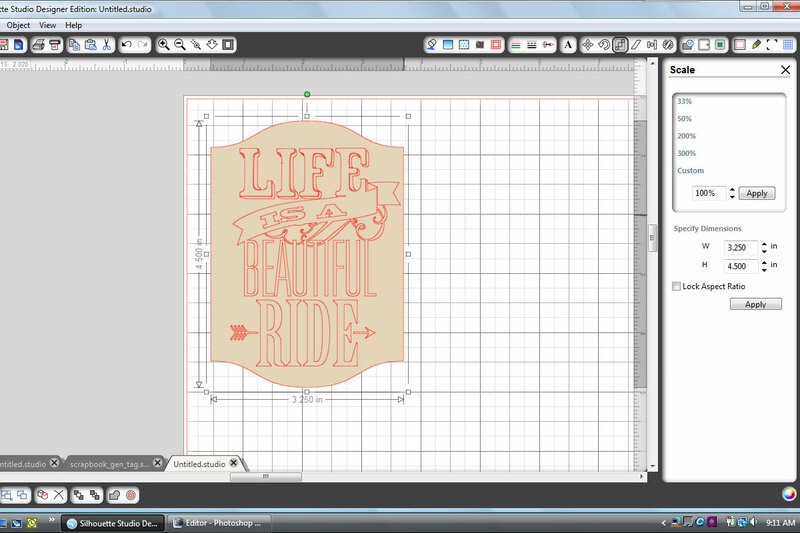 Next, open the 'life is a beautiful ride' file and scale it down to fit the card. Next, select the card shape and click on the scissor icon along the top of your screen. Select "no cut". The phrase portion needs to remain on cut even though you won't be cutting it....the pen will replace the blade. Select the text and click on the sketch icon and click on plain. Now you are ready to send this to the Silhouette. 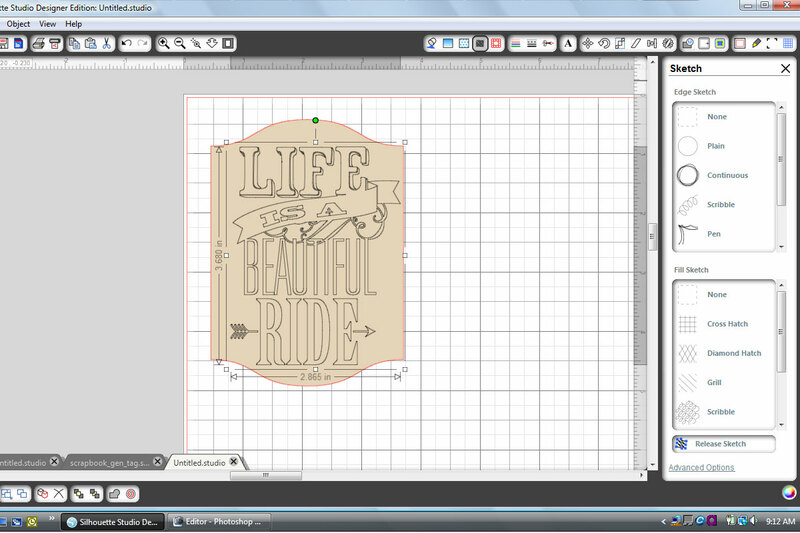 Be sure to replace your blade with the sketch pen and select sketch pen in the cut settings. Do not unload the mat. Replace your pen with the blade. Click on the card and change it back to cut. Select the phrase and change it to no cut. Adjust your settings back to blade and send it back to the Silhouette to cut. I finished off my card with a six petal flower and a chipboard sticker from the paper collection to embellish my card. Head over to Lori Whitlock's shop to check out all the new files that were added. So creative and beautiful, Corri! Can't wait to give this a try. Thanks for the tutorial!